Announcement Knitwear and accessories minimal chic hand knitted for you and your kids. 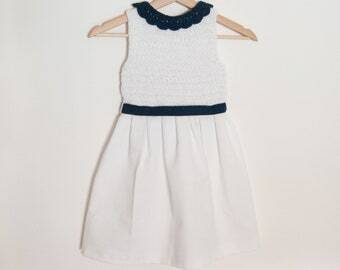 In my shop you find cotton and wool seater, cardigan and kimono, for summer and winter, but also knitwear and accessories for babies and kids. I like simple things but with character, I like to be simple but effective. Welcome to my world, where classic and minimal chic style are mixed with Boho details to guarantee maximum versatility. Handmade knitwear and accessories, knitted and crocheted with high quality yarn for you and your kids. I always create trying to pay close attention to detail, making every pattern design unique and filled with love and personality all their own. Feel free to email me for any information or question! 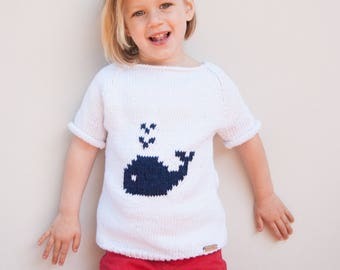 Knitwear and accessories minimal chic hand knitted for you and your kids. È esattamente come in foto e il colore è bellissimo...la adoro...ed è veramente calda e soffice. Consigliatissima!! È splendida...una cura dei dettagli unica davvero! 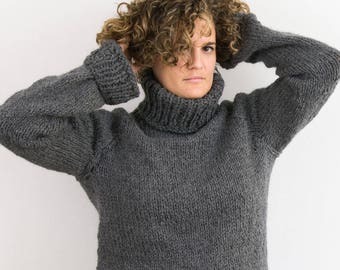 Un maglione di ottima qualità sia per il materiale usato e per la confezione. 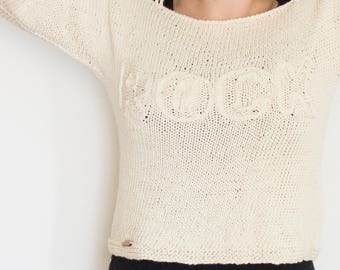 the ultimate fashion cocoon sweater for your Coachella summer is here!!! Maxi Crochet cotton cardigan with fringes all around!! il più cardigan dell’estate è qui: a prova di Coachella style! Un maxi kimono all’uncinetto in cotone con frange!! fringes details in a cotton knitted top are the perfect final touch!! This loose fit top tank is made for Coachella summer!! i dettagli delle frange sulle maniche, in un top realizzato ai ferri come questo, sono il tocco finale perfetto! 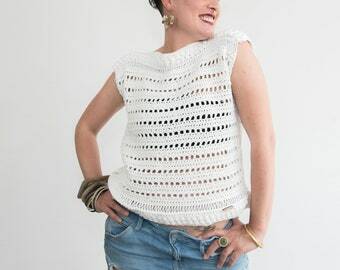 - fringes cotton top, especially hand knitted!! - top in cotone con frange, preferibilmente fatto ai ferri!! Crasty at work, always think how amazing is making something new from our hands! Non basta realizzare qualcosa.. le creazioni vanno fatte vivere attraverso le immagini! "I dettagli non sono solo dettagli, fanno il design" C. Eams E io aggiungerei.. fanno la differenza! Adoro le cose semplici, comode, ma di stile! 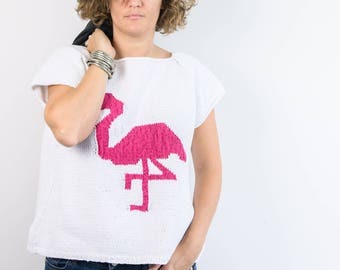 Knit, crochet and sewing machine: the weapons for a Creative Revolution! Crastycraft is an Italian brand that comes straight from the middle of Tuscany, near Pisa. This shop was born from my desire for creativity, from my love for manual jobs, out of my passion for knitting crocheting and sewing. Since I was a child I followed courses and filled my house and my family with many small creations, then growing this vocation had gone slightly diminishing. In 2010, for the birth of my nephew, I had knitted a blanket for him, I desire something that remain, something that was done with my hands. It has required little to rekindle in me the desire to do: since that day I have not more stop! In 2014 I made the plunge and I determined to turn my hobby into a business in the world of Etsy! 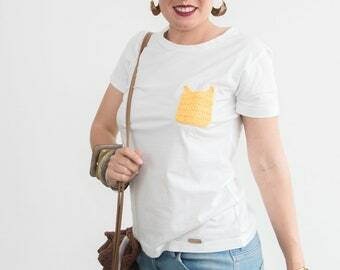 I especially create accessories with knitting needles and crochet, but I often use the sewing machine, for space as much as possible with my products: I love creating products by integrating different techniques, to take advantage of all the opportunities that they provide! I'm very careful in the selection of materials to use, natural materials and pure privilege. My creative space is a small attic of my household, my small Kingdom! I am an architect and I imagine this reflects in my creations: the attention to detail, the vocation for beauty. Even in the item descriptions, I always like to imagine where it can be placed in a house or , if it's an accessory, with what can be dressed!! I enjoy being in touch with nature, but I also love the city, its dynamism and its transformations: every time I go out walking I always find inspiration in things I see around me! - se necessarie per il mio interesse legittimo, a condizione che non prevalgano i tuoi diritti o interessi, ad esempio 1) fornire e migliorare i miei servizi. Utilizzo le tue informazioni per fornire i servizi che hai richiesto e nel mio interesse legittimo per migliorare i miei servizi; e 2) Conformità al Regolamento per il venditore e alle Condizioni d'uso di Etsy. Utilizzo le tue informazioni secondo necessità per conformità ai miei obblighi, ai sensi del Regolamento per il venditore e delle Condizioni d'uso di Etsy. I put all the misures in the listing's description, check it out, and if you're not sure, contact me!